No matter when, where, or how you served, or what you’ve experienced in military or civilian life, you may be facing challenges that affect your health, relationships, and life. Whether your military role ended two decades ago or two days ago, you share with Veterans everywhere the common bonds of duty, honor, and service to our nation. Every day, Veterans connect with resources and support to manage and address challenges they may have and find solutions for improving their lives. At MakeTheConnection.net, you can select your branch of service, your combat experience and the era in which you served: World War II, Korea, Vietnam, Post 9-11. Your peers are there. 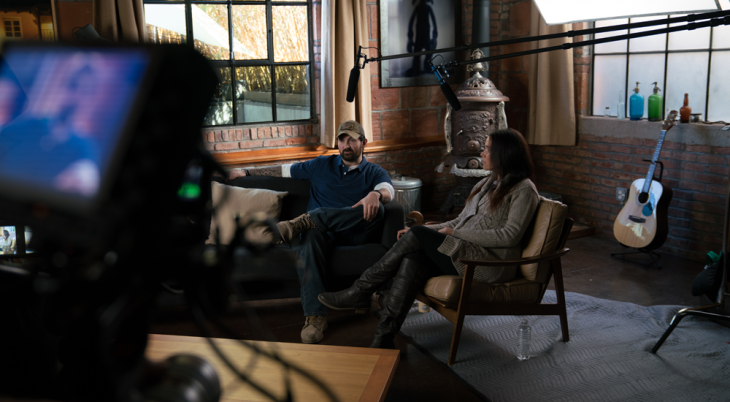 You’ll see videos of Veterans sharing their very personal experiences…what they went through and how they recovered. Daniel and Sara have a history of serving others — he as a member of the U.S. Marine Corps for 10 years and she as an active-duty Navy member for almost 20 years. As a vehicle operator in the Marines, Daniel served “all over the place” — Iraq, Afghanistan, Africa, the Mediterranean. If you are a Veteran or a family member of a Veteran, facing challenges in your everyday life…you are not alone. Find information that relates to your experience. Hundreds of Veterans and family members from across the country have shared their stories of strength and recovery. On MaketheConnection.net, it only takes seconds to find a story just for you.